The Governor Hideaki Omura of Aichi-ken announced at a press conference of 5th that experiments of the remotely controlled cars on the public roads in Nagoya-shi, Kasugai-shi and Kota-cho for the first time in Japan this summer. A driver does not get on the driver‘s seat of the car and she/he controls the car from the remote place. Comments: An automatic driving car coming closer to the reality. 6 Jun. Increasing “Curving out” of business, even despite good performance. Why? Major reason of the sale of subsidiaries and business branches were restructuring of the parent company or bad performance. Nowadays the number of the sale by good performing companies are increasing. The total volume of such sale amount to one trillion yen scale among major companies since 2013. Such sale is called “curving out” (business separation), and often investment funds are involved. The selling company performs new investment financed by the curving out and the buying fund aims at securing of profit from the purchased company. Comments: What is a company for? Its mission is being questioned. Kansai Electric Power Co. has resumed operation of the third unit of Takahama Nuclear Power Plant (Fukui-ken) again, and this will bring back the Kansai region “the summer with a nuclear power plant in operation” for the first time in the past four years. Despite a repeated threat by the Power company that advocated the need for a nuclear power plant, there will be excessive power even during the peak hours in summer. With a small reduction of the electricity bill for consumers yet remaining doubt on the security of neighboring inhabitants of nuclear plants, re-starting of operations of nuclear plants goes on in Japan. Comments: Do we really need the nuclear plants to supply power to Japan? 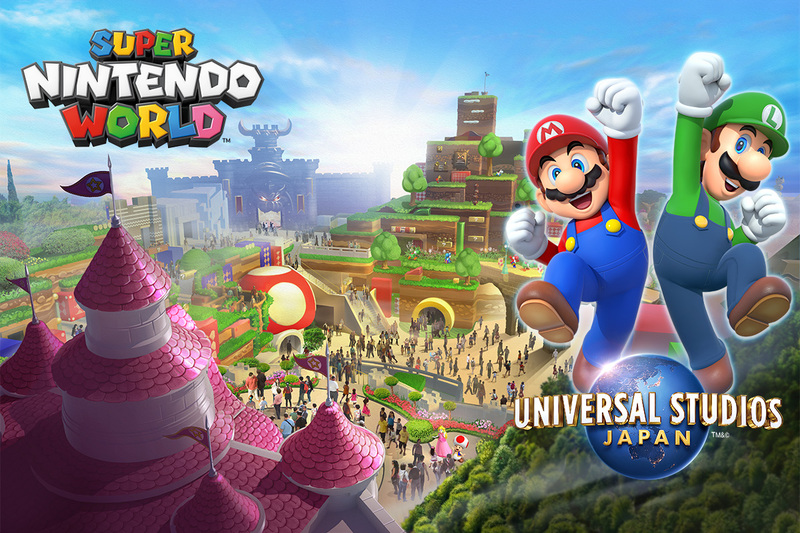 Universal Studios Japan (USJ, Osaka-shi) inaugurated the beginning of construction of the new area of Nintendo filled with popular game characters such as “Mario”. This is the first theme park of Nintendo in the world. USJ will invest record-high over 60 billion yen in the Nintendo area aiming at its opening before the Tokyo Olympic Games of 2020. Comments: Game characters are a major part of international attraction of Japan. A one-off law to enable abdication of His Majesty the Emperor was passed on the 9th. The voice of thanks was heard from those related to the Imperial couple for His Majesty the Emperor who embodied the symbol of Japan since his enthronement in 1989, and the Empress who supported him all the time. Comments: When all the population is aging, kings/Queen and Emperors/Empresses are not exception. Why Japan handled the Emperor’s retirement by an one-off law that applies to the present Emperor only, instead of a regular law that applies to all the Emperors in the future? The president of Sharp, Mr. J.W. Tai, revealed a strategy to largely increase the line-up of household electrical appliance such as TV and the refrigerator for the domestic market in 2017. While its computers are reducing the household appliance business due to thin-margin, Sharp dare intends to increase its presence in the market. Comments: Having been acquired by Foxconn, it remains to be seen if and in what ways Sharp will reborn. A giant of home delivery of parcels, Yamato Transport, and an IT major, DeNA, have begun a field experiment of parcel delivery service by an automatic driving car, “Robo cat Yamato“, envisaging unmanned delivery in the future. Clients can call a car loaded with a locker-type safekeeping box to receive parcels to the place they wish, including the workplace. It is aimed to reduce time and labour of re-delivery for understaffed logistic centers. Comments: It is an interesting application of technology of the automatic driving. The SOFTBANK commerce & service Crop. has started sellig “Musio X”, a robot which helps you to improve English conversation using the artificial intelligence (AI). Musio X reads aloud English text by right pronunciation and undertakes the web search and answer to you for the questions asked in English. The company plans to add a function to the robot to operate air-conditioners upon voice command in the future. Music X is approximately 22 cm tall and weights 850 g. Its price is 98,000 yen (Approximately CHF 10’000) excluding tax, with monthly payment of 980 yen (Appx. CHF 10). Comments: What an interesting use of AI! English teachers must use it to know a smart use of Musio X and teachers’ value which the robot can’t offer. According to the trade statistics (breaking news, customs-based accounting) of 2016 announced by the Ministry of Finance, the trade balance was the in the black figure of 4,006,900 million yen. It was the first black figure on the basis of a fiscal year in the past six years, or since the East Japan great earthquake disaster in 2011. This was largely a consequence of a large decrease of the import caused by strong yen and low price of the crude oil. Comments: Good news for the moment, though the reason of trade surplus is not because of the economic recovery. 21 Apr. Will the initial investment of the simultaneous delivery of TV over the Internet be only 1% of assumptions by NHK? The Ministry of Internal Affairs and Communications announced for the first time an estimation of costs of the simultaneous delivery of TV over the Internet. As for the case in which TV broadcasting companies jointly use the delivery system, initial investment to make the system would be 75 million yen per company, and the annual operation costs approximately 21 million yen. 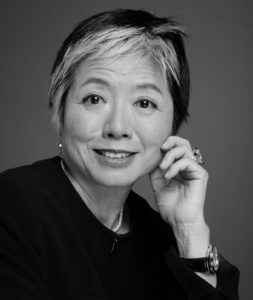 In contrast, estimation by NHK was five (5) billion yen for the initial investment and less than 10 billion yen a year for the operation, on the assumption of the single company operation. Comments: Does it signal a replacement of TV broadcasting over the air by the high speed Internet? At the ceremony of the launch of mass production of the new bus, “Coaster”, held in Kakamigahara-shi, Gifu-ken, Mr. Akio Toyota, CEO of Toyota Motor Corporation, said with regard to the new US administration, “Either automobile companies or the administration alone cannot make the region happy. What’s important is for all the stakeholders to work together drawing on their own expertise”. This indicate that he would cooperate with the US administration. Comments: It is still wait and see as to the way the new US administration would influence on the private sector activities in the country. The 32nd unit of H-2A rocket that carried communications satellite of the Ministry of Defense, “Kirameki 2”, on board was successfully launched at 4:44 PM on 24th by Tanegashima space center of Kagoshima-ken. Comments: A benchmark of the development of rockets made-in-Japan. Agricultural machinery major, Kubota announced that the company will start selling automatic driving tractors to monitors from June. Kubota will be the first company to sell automatic driving agricultural machinery in Japan. Envisaging an increasing scale of the agriculture with less workforce, the company plans to put it on sale for the wide public in 2018. Comments: True, an automatic driving could work in the agriculture which will have to be carried on with decreasing workforce. Asics and NEC developed a system which could tell the “walking age”by detecting the age equivalent of a way of walking by walking only about 6 meters towards a sensor apparatus. At n expected market entry is from nursing facilities for the elders as the system helps formulating menus of the exercise to prevent them from falling. Comments: Do you want to try it? Toshiba decided in the meeting of board of directors held today to branch out one of its core sectors of semiconductor business. The company plans to sell some of the stocks of the new company to pay for a huge loss caused by its nuclear power plant business in the United States. After having shareholders’ approval in an extraordinary shareholders’ meeting to be held at the end of March, Toshiba plan to officially branch out the semiconductor business. Comments: Competition map of the semiconductor vendors may change.